Whether you’re planning a birthday party or searching for a new addition to the backyard, parents should consider exercise when choosing kids’ activities. It doesn’t matter what activity your child chooses, as long as they keep moving. From jumping in a bounce house to joining the soccer team, anything that gets your child’s heart pumping will have positive effects on their physical and mental health. With growing minds and bodies, it’s important for children to stay active – in a review of 14 studies on physical activity and school performance, researchers found a positive correlation between heightened levels of exercise and academic achievement in school-aged children. Not only does physical activity boost blood and oxygen flow to the brain, but it also encourages endorphin production and nerve cell growth. 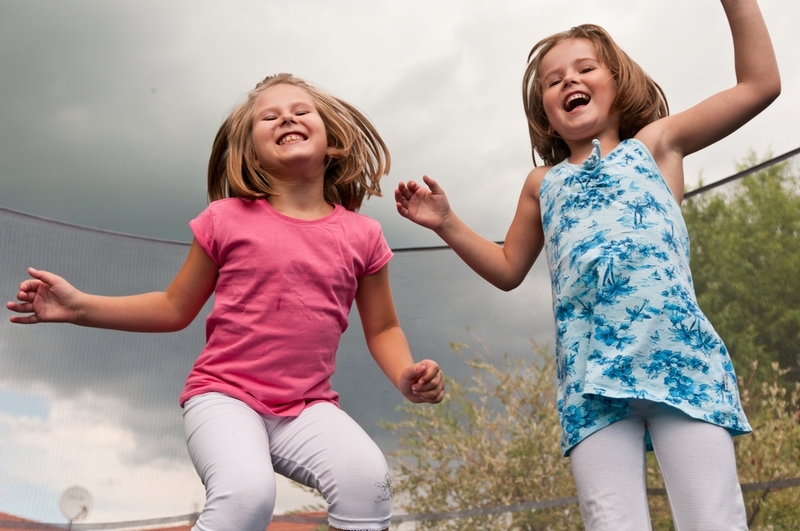 These factors help keep children in good moods while keeping stress levels low. The heart, like any muscle in the body, becomes stronger and more efficient when your child exercises. Having a healthy heart can help your child ward off heart disease, which is a risk even in early childhood. Concerned with the amount of sugar that your child consumes daily? Get them exercising! Regular physical kids’ activities trigger the muscles to convert glucose into energy, helping to stop sugar from building up in the bloodstream. This greatly reduces your child’s risks of developing diabetes and helps maintain healthy energy levels. Looking for thrilling kids’ activities to get your child to start exercising? Rent a bounce house! With bounce house rentals and a 14,500-square-foot facility, Leap N’ Laugh provides Rochester, NY, children with the ultimate heart-pumping afternoon. Children will forget they’re exercising as they navigate a 1,080-square-foot fire truck obstacle course or race down a 924-square-foot track, complete with jumps and obstacles. Learn more about the kids’ activities offered at Leap N’ Laugh online or by calling (585) 469-8922.